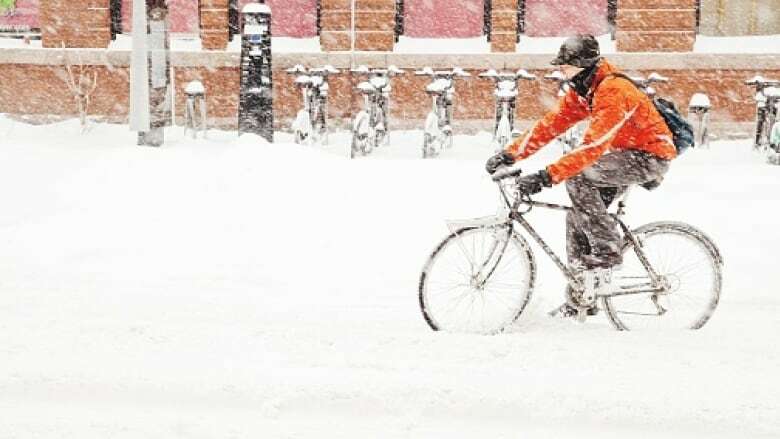 Saskatoon is hosting a winter bike-to-work day this week. It's part of city hall's effort to get people out embracing winter and staying active. Saskatoon is hosting a bike to work day as part of city hall's battle against the winter blues. "It is part of our strategy to celebrate all things winter," said Danae Balogun, the city's active transportation program manager. 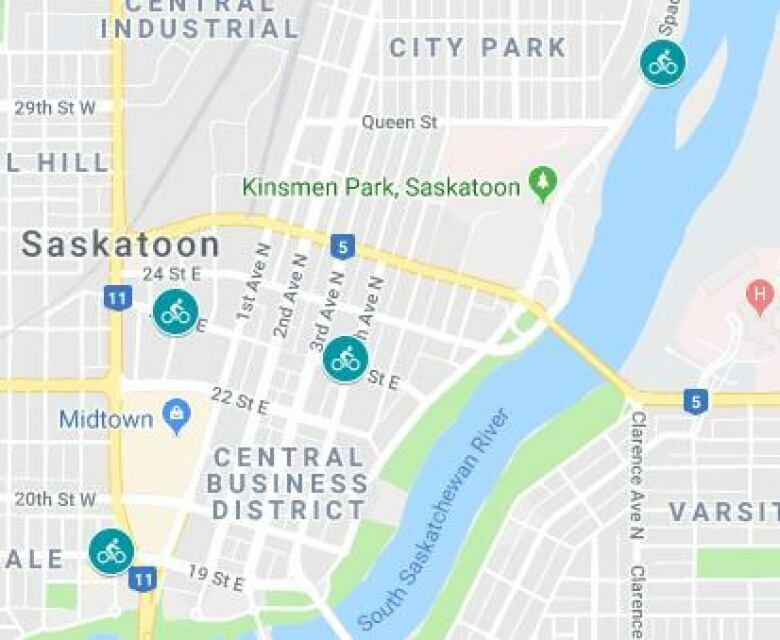 Balogun said in an interview with CBC Radio's Saskatoon Morning that on Thursday there will be four stations set-up to encourage hardy citizens to try cycling to work. "You'll get a breakfast type treat and a warm beverage and a smile and a high five," she promised. 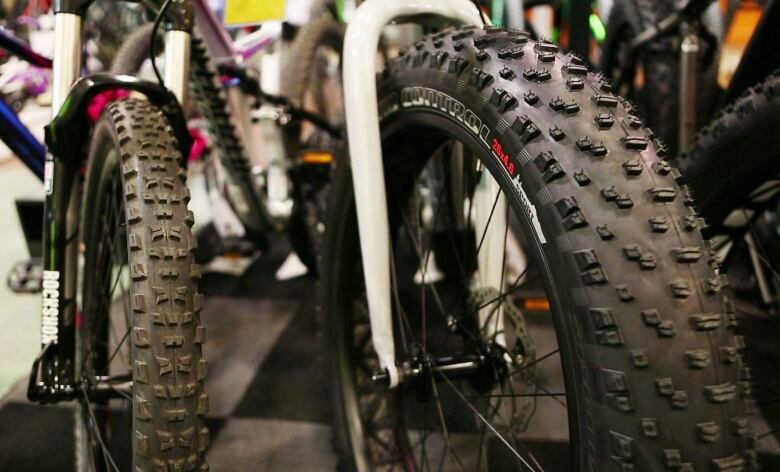 Balogun said that anecdotally the arrival of special winter tires and fat bikes are helping more people ride their bikes year round in the city, but there's no data to support that. They'll use Thursday's event to collect some numbers on winter biking. "We don't have an idea but we are going to be tracking each station on Thursday, we are going to be asking the station co-ordinator to mark how many people stop at their station," she said. Balogun knows full well that asking people to push through the dark, cold, snowy streets on a bicycle is no easy task. She said she has has only tried winter biking once. "I find for me it's making the choice to do it, and then it's knowing your commute route and making sure that you are giving yourself a little extra time to get there just in case the conditions are not perfect." If you are able to convince yourself to give it a try, it's important to have good outdoor gear and to dress in light, loose layers. Making sure your bike is up to the task is also a good idea. The benefits of winter biking seems pretty straight forward. This is a season when a lot of people tend to spend too much time indoors, not being particularly active. Of course, said Balogun, there is also an environmental benefit. "One more bike is one less car on the road."